This is the water that experts have twice named “the best-tasting non-carbonated water in the world.” It comes from a single spring source and is bottled at the spring site. 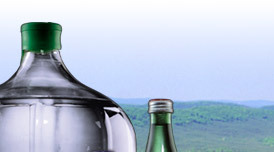 Choose from 11.3 ounce, 0.5 liter or 1 liter green glass bottles. For home and office use, Mountain Valley Spring Water is also available in 2.5 gallon and 5 gallon clear glass bottles. This is a lightly carbonated version of our spring water. Never filling, it’s the perfect accompaniment to a good meal. Best served chilled in a stemmed glass. Available in convenient 11.3 ounce, 0.5 liter, and 1 liter green glass bottles. 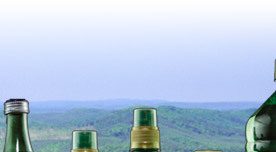 Mountain Valley Spring Water is also available in flat cap or sport cap plastic bottles in a range of sizes: 8 ounce, 12 ounce, 0.5 liter, 24 ounce, 1 liter and 1.5 liter. Which means it’s even easier to enjoy naturally refreshing Mountain Valley Spring Water on the road, on the trail, or wherever life takes you. 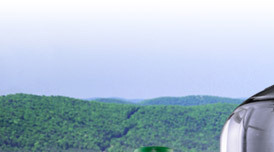 Mountain Valley Spring Water is also available in a 3 gallon plastic bottle for home or office.